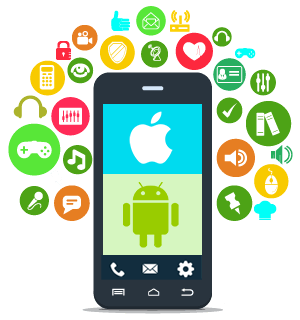 Need Mobile Application Development Services? 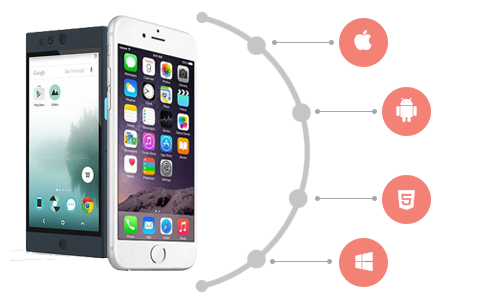 Quite similar to website application development, mobile application development is rooted in traditional software development. However, one major difference is that mobile applications are created in a way that they maximize the use of some unique features of certain devices. Without team of experts in mobile application development, we Digital Optima can provide you creative solutions to your business as a whole. Equipped with equally advanced tools and technologies, they are able to develop state-of-the-art applications that are custom fit to your business. If you’re not convinced, take a loot at the hundreds of happy clients we have. Our expertise in the field has truly made a difference in their business’ output. Our team is constantly updated with the latest trends and is quite capable of turning any ideal into a versatile application across multiple devices. When you have finally launched your website, another thing you need to keep in mind is the compatibility of your product and services across all mobile devices. Being able to provide your online patrons with a easy access to your business through a simple mobile application can make a world of difference in your situation. With the help of our team, and their extensive knowledge and expertise on the matter we can empower your business through the development of mobile applications. We thrive on creating innovative output that can truly harness your business’ potential. By designing a user-friendly navigation system we are able to improve overall user experience. This encourages your clients to keep on using your application and actually want to keep on doing business with you. Our team is ready to assist you in establishing Key Performance Indicators (KPI) in order to determine how effective your business is carrying out its objects through the use of improvise UX design to improve overall user experience. We will be able to design a self intuitive user interface designed in such a unique way. This versatile and highly customizable option sets our team apart from other companies in the market today. We make our designs according to your business’ ideals. To top off excellent user experience. Our team uses creative, innovative, and visually appealing designs to attract your prospective clients. Most of our designs are done in collaboration with your team in order to provide you with an output that is custom-fit to your business’ design style. By doing this, as well as making everything simple to go through, users will not have any difficulty using your applications. Our team dedicates time to secure your data and provide you with technical support after the development of your application. We also provide a filtered security system in order to maintain a safe environment for all the information stored through your application. At the end of the day, we know that creating Mobile Applications for your companies especially those involved in eCommerce will benefit greatly from the services we provide. If you are not sure about what you need, give us a call and set up a consult with our experts today.